John is working on task, and it will have Duration = 14 days! John will work from Monday to Sunday 12 hours per day! Regular work is 8 hours per day, and 4 hour per day are overtime work. BUT! Every Sunday John will earn double time fee. Total Cost is $12.800! Why? But, where is the Overtime rate applied? NOWHERE! Why? Remember that you should assign overtime work by your own. That means, if someone will work 12 hours on a task per day, it doesn’t mean that MS PROJECT 2010 will charge 4 extra hours with overtime rate. Now, the Total Cost is $21.600! Why? You can see that Cost per day (except Sunday) is $1.400. (8 hours * $100) + (4 hours * $150) = $1.400. At Sunday Cost is 12 hours * $200 = $2.400. 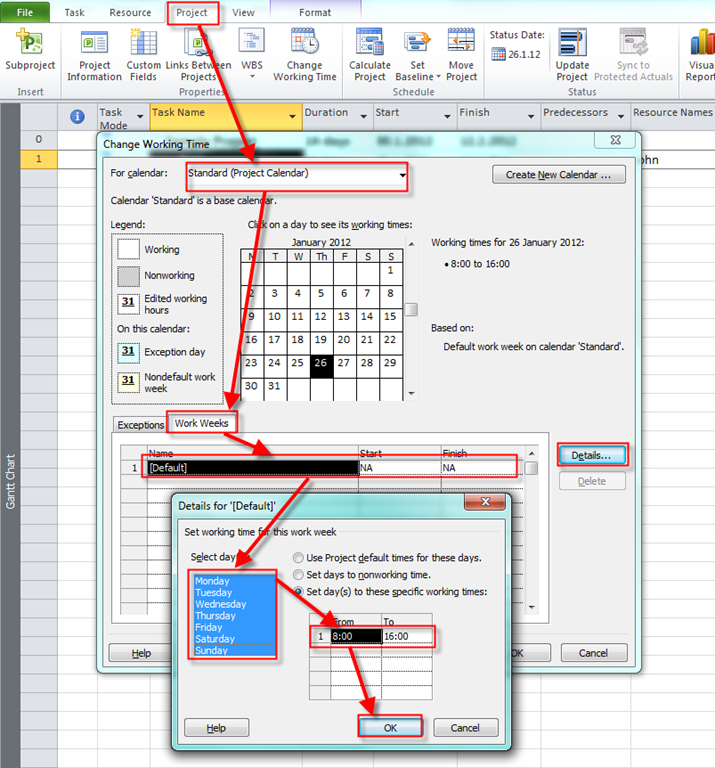 This entry was posted in MICROSOFT PROJECT, Microsoft PRoject 2010, MS PROJECT 2010, MS PROJECT 20101, PMI, PRoject Management and tagged Microsoft Project 2010, MS PROJECT 2010 - assigning Overtime Pay Rates, PMI, Project Management. Bookmark the permalink. Thank you, excellently! I now understand how to calculate overtime work! No! Use Resource Usage View. Apply Usage Table. There add columns: Overtime Work Overtime Rare, and Overtime Cost! 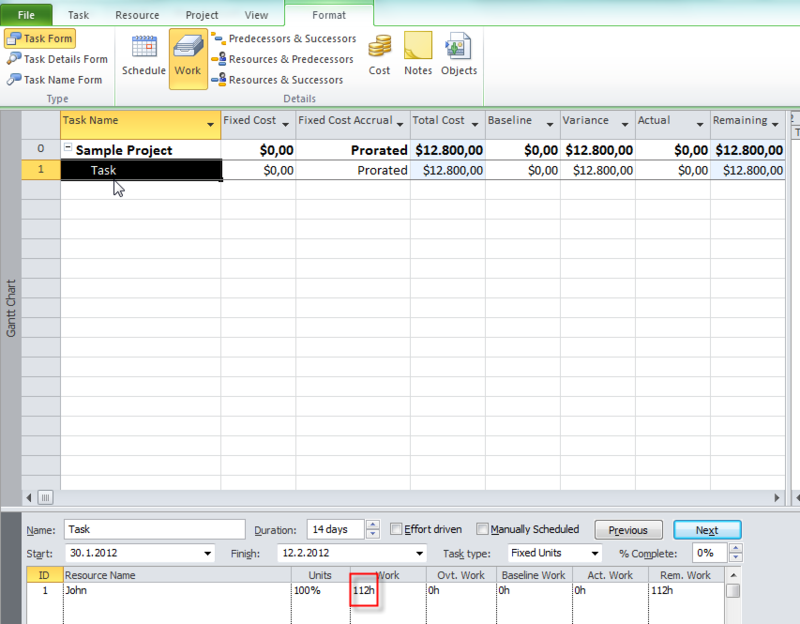 For Each Resource for Each Task enter Overtime work, and you will see Overtime Cost! bit confused, according to another topic for you, i thought as long as we added overtime hours the total duration of the task should be reduced, why it is still 14 days? See at the picture! I raised work from 112 to 168 hours, and THEN put overtime hours to 56. So forumla for duation is: (Work hours – Overtime hours) / 8 = (168-56) /8 = 112 / 8 = 14 days. The duration will be shortened if I didn’t touch Work but increased Overtime hours. Can you send me an mpp file on nenadtrajk@gmail.com? if two activity 6 hours and 6 hours for one more then how? I don’t understand your question! COuld you be more specific? I was pretty confused by overtime hours. Maybe it will help to explain that OT hous are a subset of work hours. E.g., if 14 hours total were worked and 2 of those hours were OT, you enter 14 in Work field and 2 in OT field. 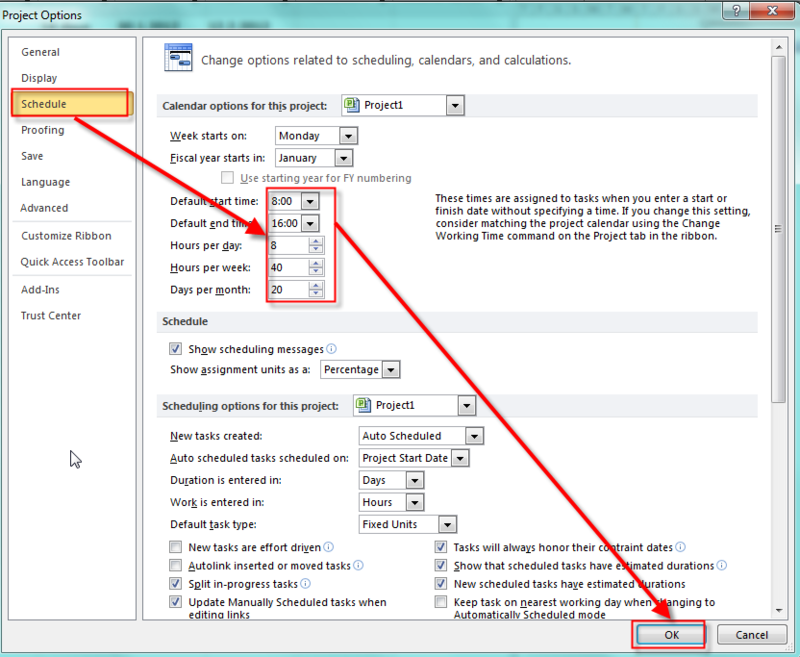 Now, if you don’t want to go with Standard OT rate, you can assign any rate to a task but again this is tricky. 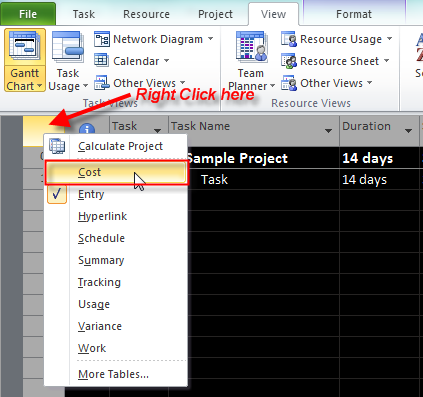 You need to assign the resource to the task, then go to task usage view, select the resource and double click. You will see ‘cost rate table’ on the general tab of the pop up box. You can select the appropriate rate (A,B,C, etc.) from there. You need to load the rates in the resource sheet view first. Hope that helps. Took me forever to figure it out. 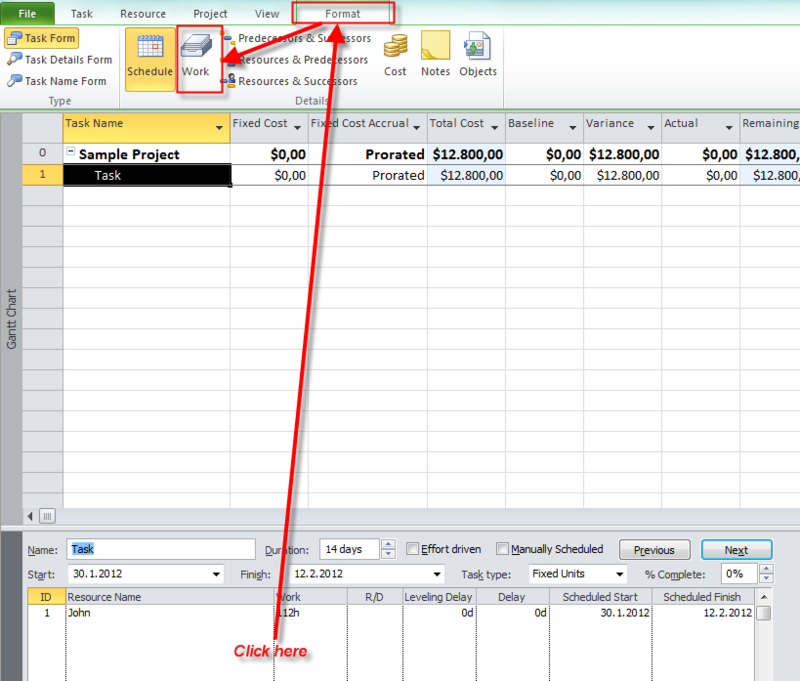 How to set up different pay rate units such as ($/m, $/m2, $/m3, $/ton and so) … and that’s it. you know in most construction projects like building, roads, tunnel, canal even dam constructions cost of much of items such as excavation, drainage and so will calculated based on different pay rates as indicated above. 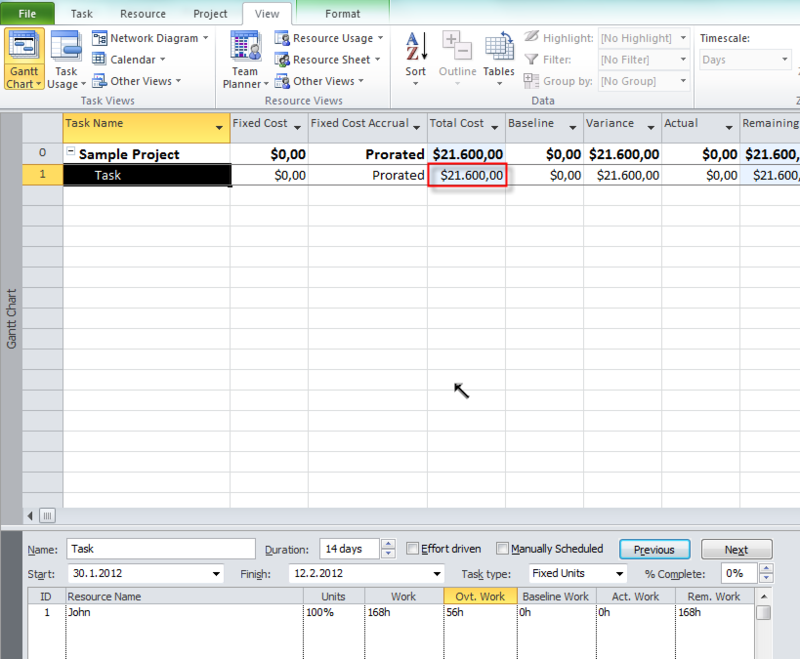 for example if I want to setup cost of “excavation” task how I suppose to do that, if I have to setup unit pay rate of this task in resource sheets ? so which kind of resource I suppose to assign (work, material or cost resource) and how I use different pay rate ? or if I suppose to setup this kind of cost in different place, where is that place ? Thanks for this information! My question is regarding cost per task. I have temp employees working overtime. In a given week they are paid overtime rate for hours over 8 per day. In the same week they could leave early so they may have a day where I need to assign $0 for 4 hours. 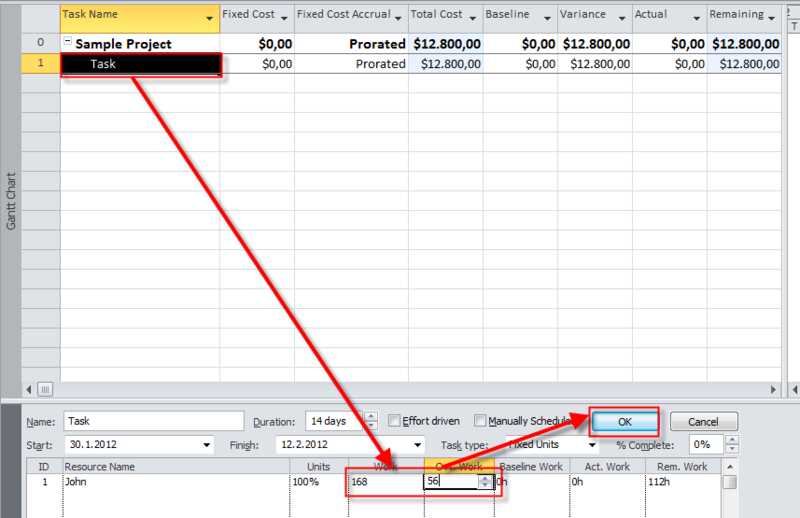 I entered a task called Unpaid Time so I could measure how many hours they take off but project is not letting me assign rate table cost of $0. Do you know how to report this? Thanks again! It’s a great blog you have over here. About overtime, I tried to apply 12 hours a day on Saturday and Sunday, it’s a 2 day work (driving car) and It allocates 24 hours on Saturday. Both days are dayoff (rest time), so it’s 24 hours overtime rate. Is there a way to allocate 12 hours a day? Let me clear one thing out! You want to drive your car at Saturday 12 hours and Sunday 12 hours! And 12 hours per day are overtime? Yes, that’s right. Saturday and Sunday are days off, so if the I work that days it’s overtime. I can’t work more than 12 hours, according to the law, so how can I make it happen? When I do it, the microsoft project used to change the duration (which is fisically impossible) or It used to allocate to work 24 hours at Saturday. Hi, do you know how to apply 3 rates in one working day. YOu can apply only one standard rate and one overtime rate per day! 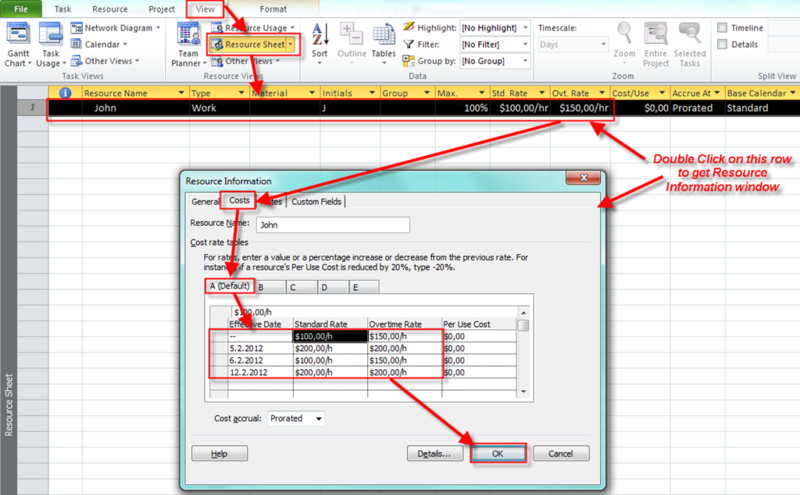 But yoiu can apply differnt tables (pax / costs) per task, if that can help you! Thanks very much Nenad. I appreciate your help. Anna. Can you send me mpp file? I am trying to update and add OT to a task that has already started. I cannot seem to add hours to the OT Work Field.